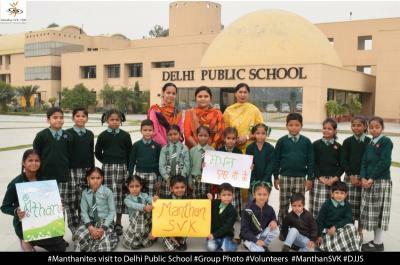 Divya Jyoti Jagrati Sansthan is a social and spiritual organization working tirelessly for the welfare of underprivileged children of the society through its initiative Manthan SVK. As said by Mary Catherine Bateson, "The human species thinks in metaphors and learns through stories". 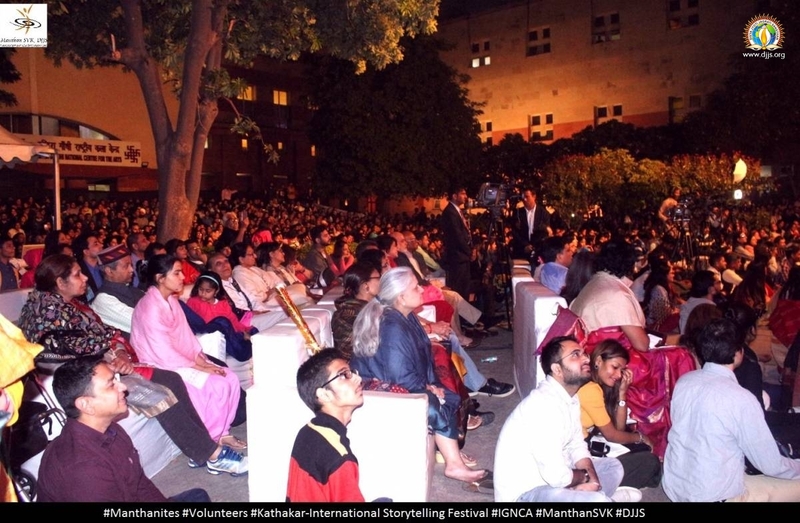 Following such an example, 25 manthanites and 10 volunteers attended a storyteller’s festival "Kathakar" to learn the life altering lessons on 16th November 2018 at Indira Gandhi National Centre for the Arts (IGNCA), Delhi. 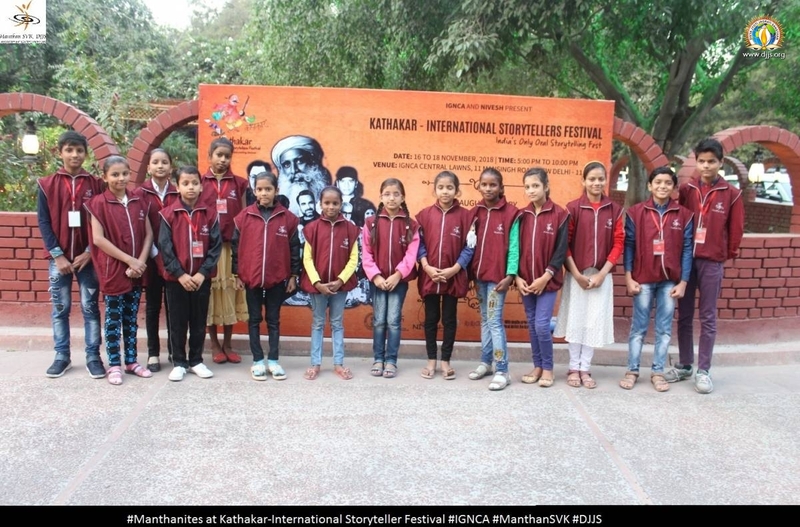 Kathakar is an initiative by Shaguna, Prarthana Gahilote and Rachna who are pioneers in reviving multiple forms of storytelling for children and adults alike. 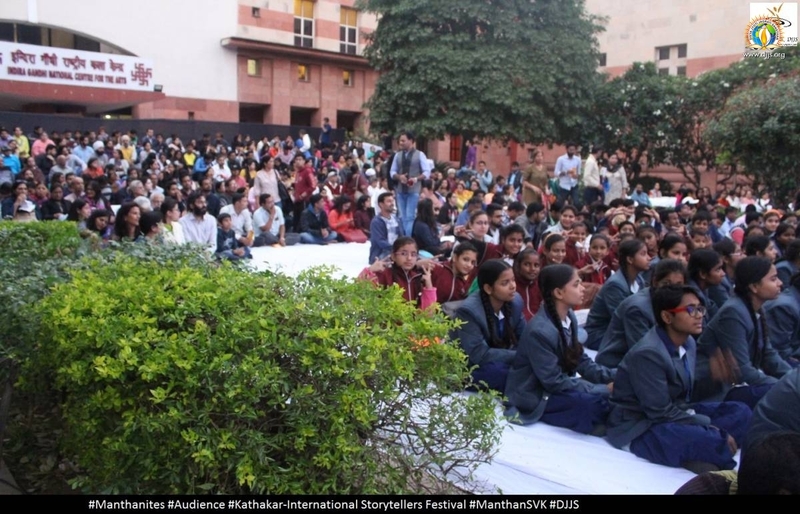 The three-day event, organized by Nivesh and HHACH in partnership with UNESCO, witnessed immersive storytelling sessions focusing on India’s rare art forms as well as native tales from Africa, the UK, Greece, Poland, Russia and Iran. The chief guest of this event was renowned singer Mr. Mohit Chauhan and Sadhguru Jaggi Vasudev. The event witnessed the presence of multiple esteemed personalities such as Mr. Kiren Rijiju, current Union Minister of State for Home Affairs of India. Godfrey Duncan from UK recited the story of Vikram and betal whereas Xanthe Gresham from UK presented the tales from England. Michal Malinowski from Poland relived the Polish legends creating immense excitement in the children. 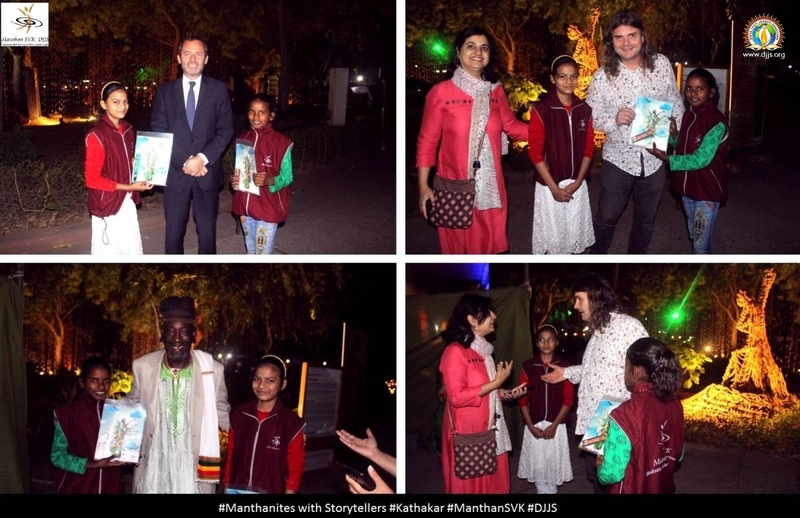 He narrated a story based on the relationship between a father and a son in English with mesmerising expressions. He stressed upon the moral of the story which was “Recreate a man and you will recreate the world”. Mohit Chauhan in sync with Sadhguru presented kisse, kahani with the mystic while Danish Hussain from India displayed Qissa Urdu ki Aakhri Daastan in a unique style. 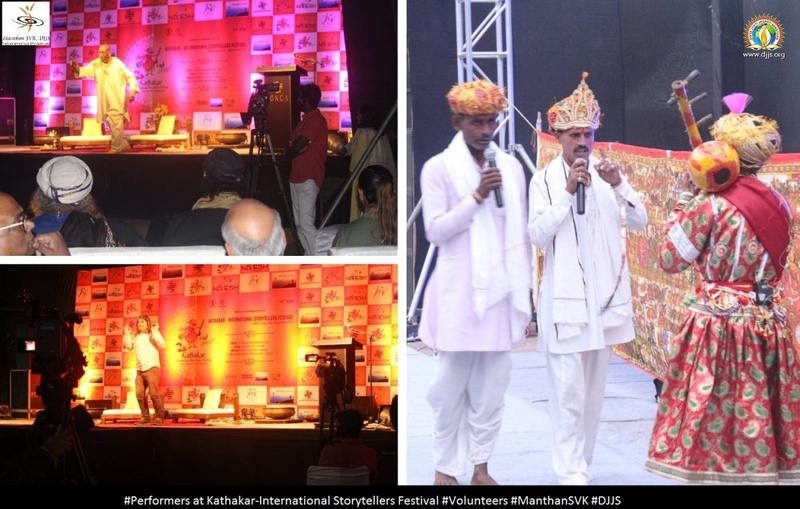 The event also included narration of rajasthali folklore. 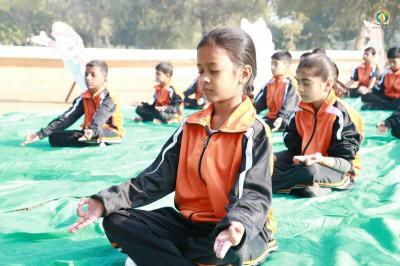 The limelight of the event was Mr.Chauhan diving into childhood of Sadhguru with various questions, hereby igniting the inquisitive nature of children. 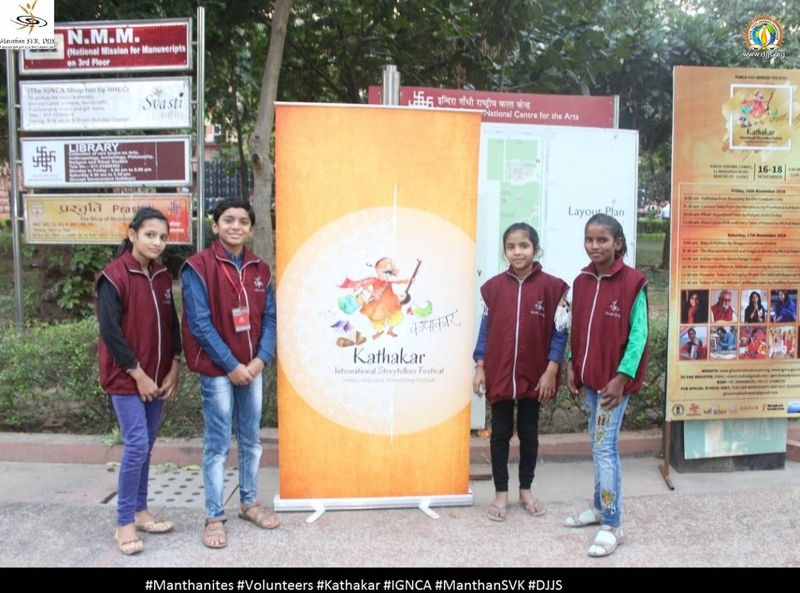 It is a three day event in which Manthan was honored to be a part of it for one day. The children were taught some valuable lessons through such an event. 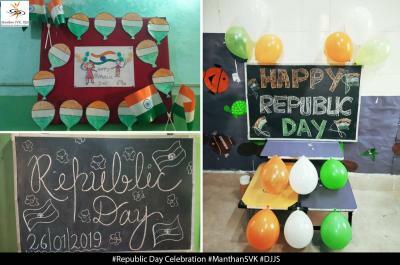 Overall this event created a healthy environment of learning for the kids by expanding their imagination and creativity.